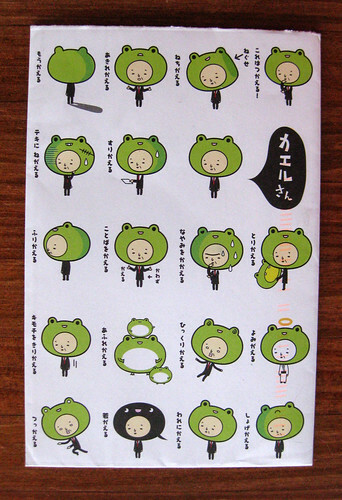 More of this wonderfully weird Japanese stationery, featuring a man in a business suit wearing a frog head. 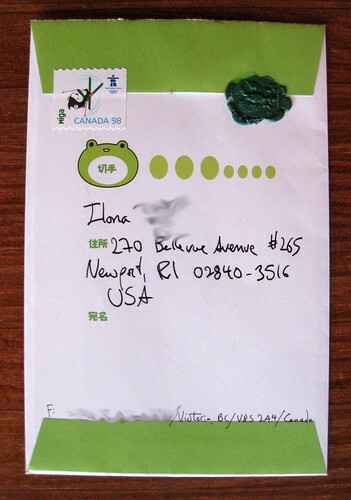 He used a delightful wax seal again, which survived the mail from Canada pretty well. There tends to be a delay on international mail with a wax seal, especially from Canada (sometimes from the UK also), but it's worth the wait. I should show this, to one of my granddaughters... Who is intrigued with all things Japanese, at present. She and a school friend are trying to get into a HS program, which allows them to spend some time in Japan. I love this stuff - guess I'll have to go on a stationery hunt! !